Have you ever fallen in love with the top of one dress, and the bottom of another? Or a gown that you've seen in White or Ivory, but you would love to have it in another unique color? How about a Designer gown that was over your budget? 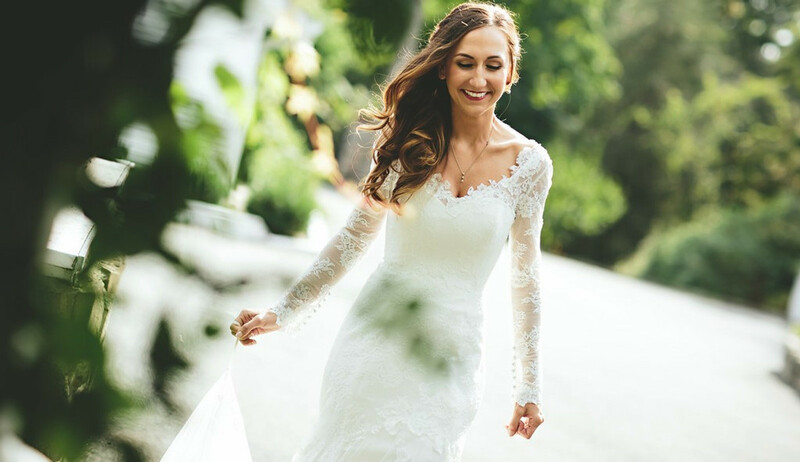 At Wedding Dress Fantasy, we can create a Custom Wedding Dress to your specifications using high end fabrics and a Couture construction. We will reply to you with a quote within 1-2 business days. Your quote will be good for 7 days. 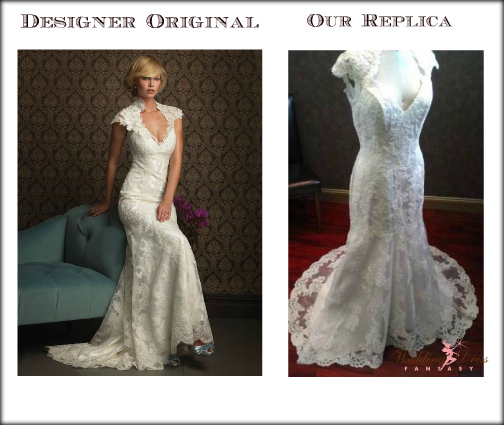 Custom designed gowns start at $1,000 and will vary in price depending on fabrics used and complexity of the gown. Wedding Dress Fantasy now offers Couture Inspirations. Have you fallen madly in-love with a designer wedding gown but have had your heart broken when looking at the price tag? 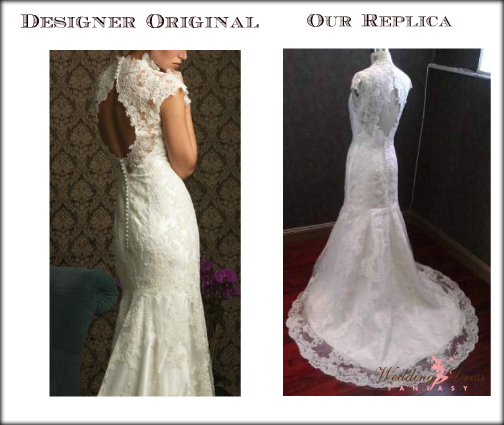 Skip all the Bridal Salon commissions and heavy mark ups, and let Wedding Dress Fantasy create a custom Couture reproduction of your dream gown. 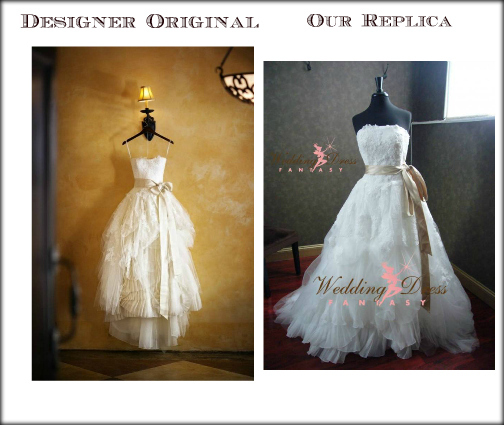 Wedding Dress Fantasy will custom create a Couture "Inspired by" version at a fraction of the cost. You can even request modifications to the gown to make it your very own unique design. The gown will be made using our finest fabrics, and will be fully lined, boned, interfaced with bust cup support. 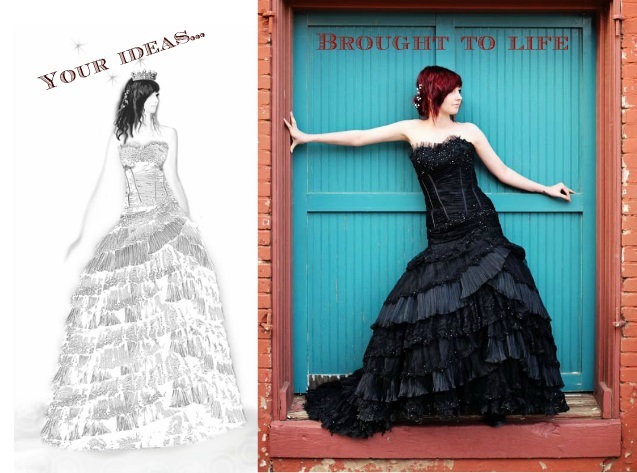 We only create gowns the COUTURE way, NOT the cheap-knock off way. 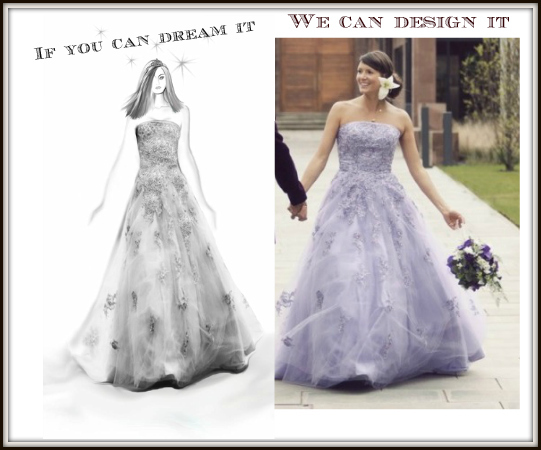 "Like us" on Facebook and see photos of real Wedding Dress Fantasy brides. Custom Wedding Dress Bridal Gown for Carrie I. 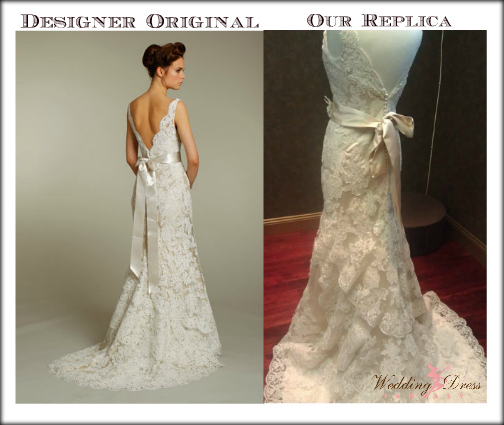 Custom Wedding Dress Bridal Gown for Mariann O.